Leawood, KS – June 16, 2017 – Agspring has named John Valenti as vice president of corporate asset operations effective June 12. In his new position, he is responsible for overseeing the company’s grain operations, processing operations and safety programs. Valenti has 17 years of professional experience in technical and large-asset operations management in the chemical processing, food ingredients, packaged consumer goods, large-scale wet corn processing and biofuels industries. Before joining Agspring he had served since 2015 as plant manager of Alltech in Winchester, Kentucky, where he led the site to be fully certified with FAMI-QS. From 2011 to 2015 Valenti held several positions at Aventine Renewable Energy Inc., including plant manager of the Mount Vernon, Indiana, facility and the Pekin, Illinois, facilities; and most recently vice president of company operations. Valenti was operations manager in 2011 for B&G Foods in Portland, Maine, leading the site to obtain SQF certification and achieving recognition as Portland Business of the Year. 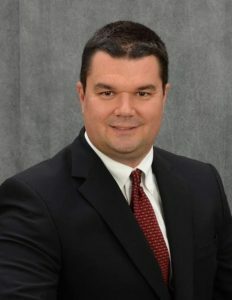 From 2007 to 2010 he served as technical manager for Parallel Environmental Services Corp., Louisville, Kentucky, managing capital projects and improving operations, which contributed to record profits in 2009. Early in his career from 2000 until 2007 Valenti served in various management and engineering roles with Tate & Lyle, a multinational agribusiness company. Valenti is a graduate of the University of Illinois at Urbana – Champaign with a bachelor’s degree in food and bioprocess engineering.